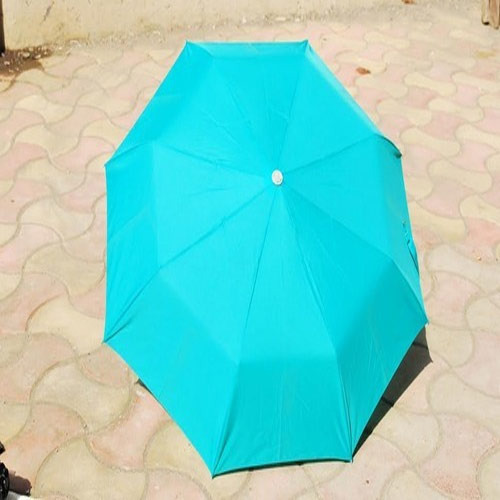 Our range of products include three fold umbrella and three fold plain umbrella. We offer Three Fold Umbrellas which are manufactured using the premium quality raw material. These umbrellas are folded thrice to make it more portable than 2 fold. The fabric used in the manufacturing of these umbrellas are Nylon, Polyester and Pongee. These umbrellas are available in different colours, designs and sizes. The outer fabric of these umbrellas comes both in single and double colour patterns with matching handle colour. 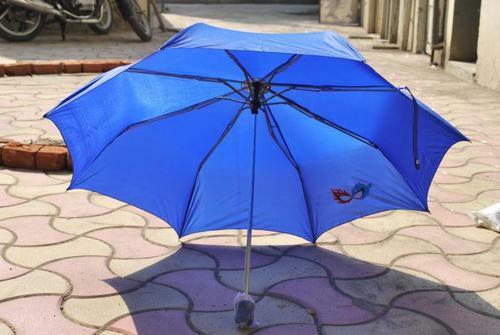 These umbrellas are proved beneficial in rain as well as in scorching sunlight. Furthermore, these Umbrella feature hand open, automatic, auto open & auto close style. Available in 21.5 " (545 mm ) size, these umbrellas also play a role of gift article. We are the manufacturers and supplier of Three Fold Umbrella. Looking for “Three Fold Umbrellas”?